D3 Air and Space Operations, Inc.
On August 28, 2018 Monterey Consultants was awarded the Department of Veteran’s Affiars CVE Transformation contract. A $32M contract to provide support for CVE by processing VetBiz Service-Disabled Veteran-Owned/ Veteran-Owned Small Business (SDVOSB/VOSB) applications. 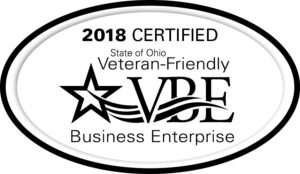 The VetBiz VOSB Verification Program verifies Veteran status, examines ownership and control records, and engages with applicant in order for CVE to make a determination of eligibility. In order to do business with the VA as a SDVOSB/VOSB that business must be CVE verified. This award makes Montery and one of two contractors supporting the CVE effort. In order to be considered each candidate must meet the stated criteria. Monterey is a Veteran Affairs (VA) Verified Service-Disabled, Veteran-Owned Small Business (SDVOSB) and a Small Disadvantaged Business (SDB). We graduated from the SBA 8(a) Program and have a variety of contracts available for use.